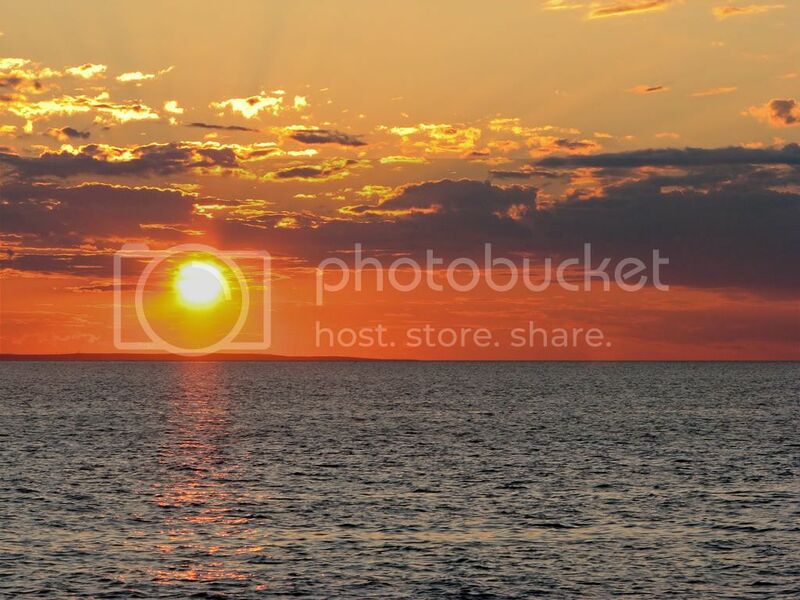 During July and August the bayside beaches of Cape Cod are prime destinations at sunset. It's the best show in town and tourists and locals alike flock to it. The other day, as sunset was approaching, I decided I would go to Sunken Meadow, the bay beach closest to my house. As I pulled into the packed parking lot and saw groups of visitors socializing, wine glasses in hand, my inner negativity was stirred up and I said to myself "What are all these people doing on my beach?" I had come to view a natural wonder, not watch them party. I decided to go further up the road to the Wellfleet Bay Audubon Sanctuary and walk one of the trails out to the bay. To my delight, there was only one other car in the parking lot, and I didn't see another soul as I passed Try Island and followed the boardwalk out to the tidal flats. I was able to watch the crimson sun slip into the glimmering teal water in perfect solitude.